Hi guys, it’s been a hot minute since I last blogged. I started off just taking a small break from social media so I could use all that time I was committing to it each morning to workout instead and then six months went by. But I’m back! And putting together this post was a lot of fun, so the lesson learned is that everything in moderation really is key. Lately I’ve been working on a fall capsule wardrobe and I wanted to share the process with you via my (drumroll please)…very first YouTube video! I am really jumping into the 2000s, I know. But I have been wanting to try my hand at video for a while so it feels good to have “like” finally “um” made one (check out the video to see what I’m talking about). 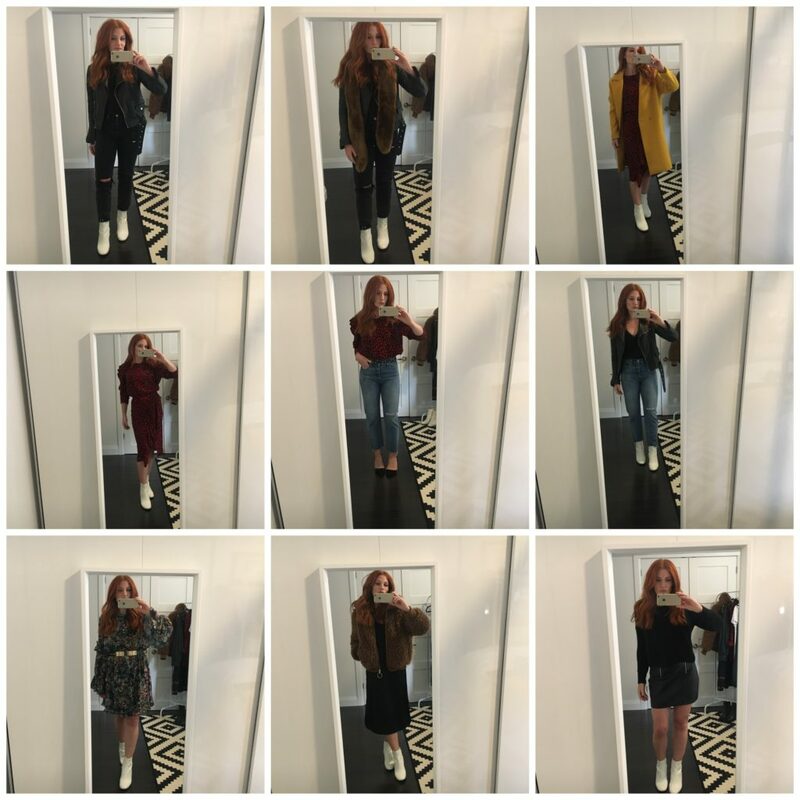 I have been making a capsule wardrobe for myself (a mini wardrobe within my larger wardrobe), for a couple of seasons now and I always tend to build mine around a pair of shoes. 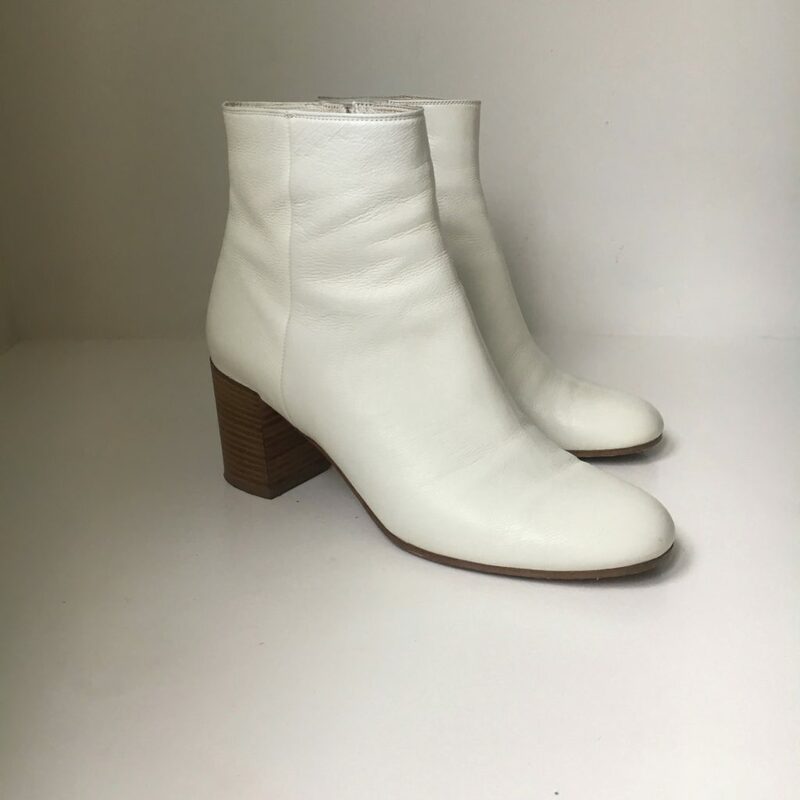 This year it was these white Vince booties that I scored for nearly 75% off the retail price at Winners. Once the base of my capsule wardrobe was established, I pulled a bunch of items from my existing wardrobe (including some I hadn’t worn in a while), and I also purchased a few key trendy pieces that would coordinate with my white booties and update my closet edit for Fall 2018. One of the things I love most about creating a capsule wardrobe is how one item, like the white booties, can revive tired pieces in your closet. I was able to make these nine new outfits and that’s not even close to exhausting the countless combinations that are available to me. Watch my video for the how-tos and a try-on and please give me a “thumbs up” or subscribe if you like what I have to say! And if you need help creating a capsule wardrobe of your own, head over to my Wardrobe Consulting page and get in touch. Until then, happy capsuling!